Some early reviews of the new edition have appeared online, by Nijay Gupta, Philip Long, and William Hemsworth. I am grateful for their appreciative words. 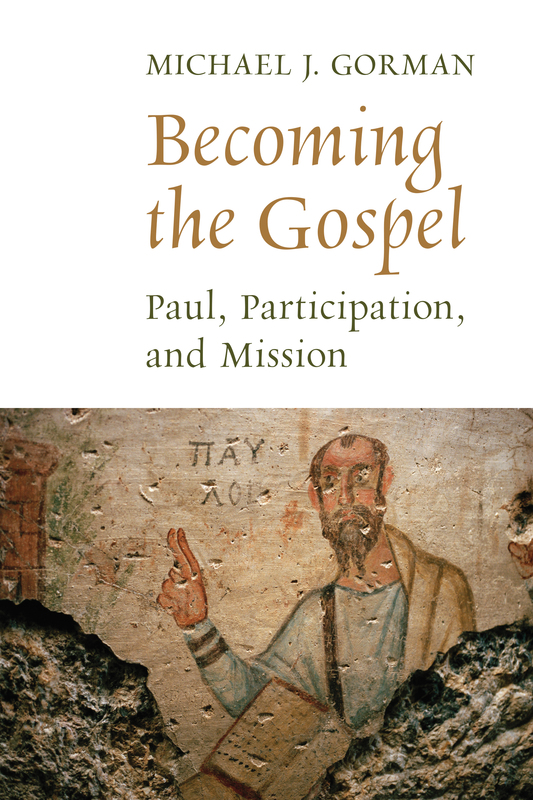 For all who may be interested, you may now order my newest book, Becoming the Gospel: Paul, Participation, and Mission, from Eerdmans (the publisher), Amazon, or your good theological bookstore, such as Hearts and Minds Books in Dallastown, PA. The central claim, found in the title — Becoming the Gospel: Paul, Participation, and Mission — is that already in the first Christian century the apostle Paul wanted the communities he addressed not merely to believe the gospel but to become the gospel and thereby to advance the gospel. 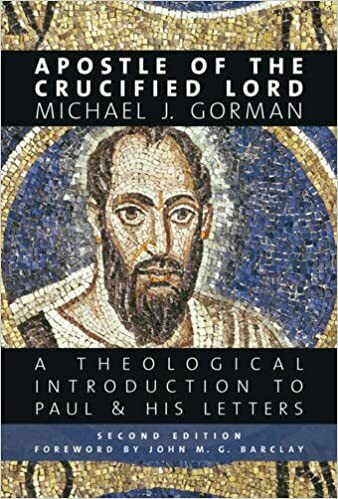 Combining exegesis of Paul’s letters with hermeneutics and missiology, Gorman throws new light on old debates such as those involving the language of God’s righteousness and various participatory themes. . . . Gorman writes in ways that resonate with the missional concerns of the gospel itself. When asked who should read this book, I have responded “Everyone!” Everyone! First of all pastors, seminary students, and lay leaders in the churches. This is challenging but readable material. I want to spark conversations in the church. Secondly, biblical scholars, missiologists, theologians, and others who teach in and influence the various fields of study that come together in this book. OK–we are definitely on. Be careful on side streets and any places that have not completely melted. Pls arrive by 4 or after 4:30 and don’t park in front of the house or adjacent if possible. If anyone is interested, I have a free excerpt of my new book (Introduction and first chapter) to send out. (I would like to post it here but have failed in my attempts.) Send an email to mjg [at] michaeljgorman.net. There are at least four major problems with the traditional models of the atonement as a group. We will consider each of these problems briefly. • The first problem is the isolationist, or sectarian, character of the models. Each one is constructed as a kind of stand-alone theory that supposedly tells the whole (or at least the most important) story and requires the exclusion (or at least the marginalization) of other versions of the story. In sympathy with certain postmodern complaints about the very idea of a doctrine of the atonement, Kevin Vanhoozer says [in “Atonement in Postmodernity], “The problem is that theologies of the atonement seem unable to articulate a theory that explains the saving significance of Jesus’ death without betraying the rich testimonies to the event of his death.” Only rarely, as in the case of Colin Gunton (The Actuality of the Atonement), does a theologian try to appropriate and integrate various traditional models. • The second problem derives from the first: the atomistic, or nonintegrative, character of the traditional models. They do not naturally pull other aspects of theology into their orbit. “Atonement,” however interpreted, often stands apart, separated from ethics, spirituality, ecclesiology, pneumatology, and missiology. In some cases atonement becomes a narrow branch of theology that is almost irrelevant to the actual life of Christian individuals and communities. • The third problem is individualism. The traditional models have a nearly exclusive focus on the individual, rather than on both the individual and the community, as the beneficiary of the atonement. Scot McKnight (in A Community Called Atonement) and others have, of course, also recognized and begun addressing this problem. • The fourth problem we might call “under-achievement.” That is, the models do not do enough. We may summarize a model of the atonement in terms of its understanding of the fundamental effect of the cross on a person (or on humanity). In the satisfaction-substitution-penal model(s) the effect is propitiation, expiation, and/or forgiveness; in the Christus Victor model the effect is victory and liberation; and in the “moral influence” model the effect is inspiration. As I suggested in the Introduction to this book, the under-achieving character of these models means that, on the whole, they focus on the penultimate rather than the ultimate purpose(s) of Jesus’ death. In the new-covenant model I am proposing, the purpose (and actual effect) of Jesus’ death is all of the above and more, but that effect is best expressed, not in the rather narrow terms of the traditional models, but in more comprehensive and integrative terms like transformation, participation, and renewal or re-creation. The inclusion of terms like these in a discussion of atonement will seem odd to some readers, but I will introduce them because they capture the spirit of the new covenant promised by the prophets and inaugurated by Jesus’ death. It is precisely certain elements of the promised new covenant (which we will consider in the next two chapters), such as the coming of the Spirit and empowerment to fulfill the law, that are generally not considered to be aspects of atonement per se in traditional theories. This is, in part at least, why the traditional theories fall short of a fully biblical interpretation of the atonement.